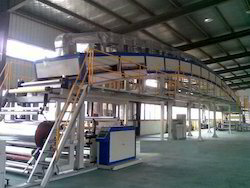 Our company has been a prominent player in Adhesive Coating Solutions since 1986. We undertake Acrylic, Water based, Rubber based and Hot melt coating for our clients. With our experienced team we are capable of taking on a variety of Adhesive Coating Solutions for existing as well as new products. We conduct Acrylic & Water based coating services for our Clients as per their requirements. All processes are undertaken in our ISO 9001:2015 Certified Plants. With our experienced team we are capable to take on a wide variety of Adhesive Coating Solutions for existing as well as new products. With multiple full length coating lines and capabilities to run double shifts we are a one stop shop for all adhesive coating requirements. Looking for Adhesive Coating Services ?